It's the end of an era for the Federal Reserve. 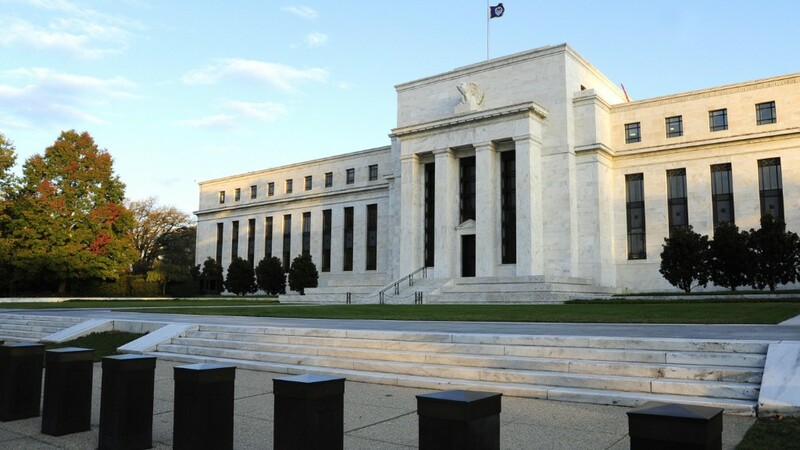 The Fed's massive bond buying program of the six past years is finally about to conclude. Many Fed critics maintain that the central bank's quantitative easing, or QE for short, has not helped the real economy. That's fair. The unemployment rate has dropped since the Great Recession. But many Americans have still been out of work for too long. And while QE has helped keep interest rates low, that's only good news for those lucky enough to get credit from a bank. Lending standards are still pretty tight. Heck, former Fed chair Ben Bernanke recently said that he could not refinance his mortgage. Related: Can Ted Cruz audit the Fed? 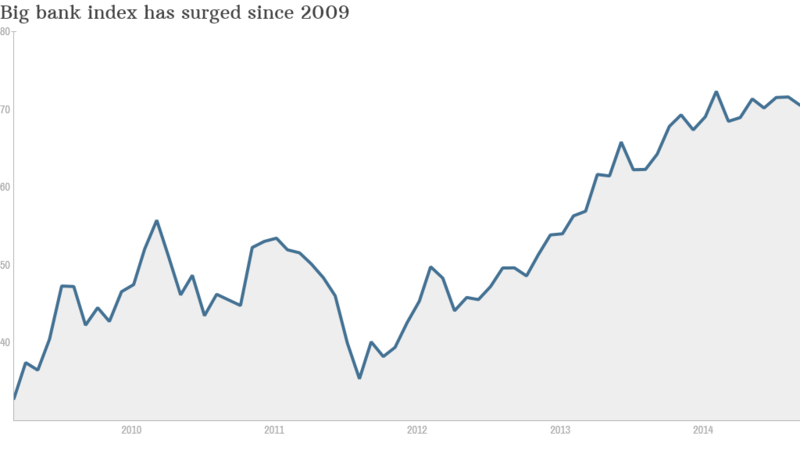 But anyone who has invested in the stock market should give a hearty thanks to Bernanke and his successor Janet Yellen. Yes, the already wealthy are more likely to have merely gotten even richer from rising stock prices. But anyone with a 401(k) or IRA for retirement and a 529 for their kids has hopefully been able to put at least a few bucks away into something as basic as an exchange-traded fund (ETF) that tracks the S&P 500 such as the SPY (SPY). If you didn't panic in the fall of 2008 and held onto stocks, here's what you've been fortunate enough to enjoy since the Fed announced its first round of QE in late November 2008. It's even better if you had invested in bank stocks. 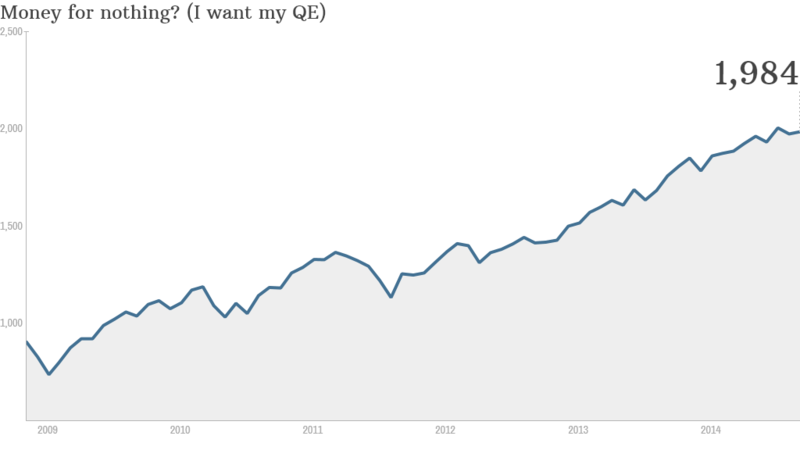 QE didn't work immediately. The broader market (and banks in particular) continued to plunge on recession/credit crisis/liquidity fears until March 2009. But once the market bottomed, shares of big banks such as JPMorgan Chase (JPM), Bank of America (BAC), Citigroup (C) and Wells Fargo (WFC) started to surge. They have all outperformed the broader market by a wide margin since March 2009. So has the KBW Bank Index (BKX), which includes these four giants as well as others such as U.S. Bancorp (USB), Bank of New York Mellon (BK) and SunTrust (STI). The index is up nearly 280% since the bear market hit its low. The S&P 500 is up about 190%. And that's where things get uncomfortable. Banks aren't lending all that easy money. But their stocks are doing well thanks to strong earnings. Interestingly, the two big pure play investment banks -- Goldman Sachs (GS) and Morgan Stanley (MS) -- have not done as well as the consumer banks. So it may not be accurate to say that QE helped Wall Street at the expense of Main Street. But it's clear that banks are a lot healthier now than they were six years ago. Kudos to the Fed for helping to make that happen. Now it would be nice if the rest of us benefited from low interest rates too.